Cycle Chic®: Mexico Cycle Chic - Photo Contest Winners! Mexico Cycle Chic - Photo Contest Winners! So there you have it. We have finally wrapped up the super-thrilling Mexico Cycle Chic Photo Competition. There was a flurry of uploads to our Flickr group in the final stages and a buzz of activity in the Mexican blog world. Launched by the Royal Danish Embassy in Mexico City, the Cycle Chic photo competition was in collaboration with Cycle Chic (me), Danish bikemaker Biomega and the Institute for Transportion & Development Policy [ITDP]. I can tell you it was a tough job picking winners in the two categories - Gentleman and Lady. Two Biomega bikes were up for grabs - the Biomega Boston. Here we go. Here's the brilliant winning photo in the Gentleman category by Flickr user carlossagh. "If this isn't the Joy of Cycling and La Dolce Vita all at once I don't know what is." Mikael Colville-Andersen, creator/owner of Cycle Chic. "Mexicano style at its best." 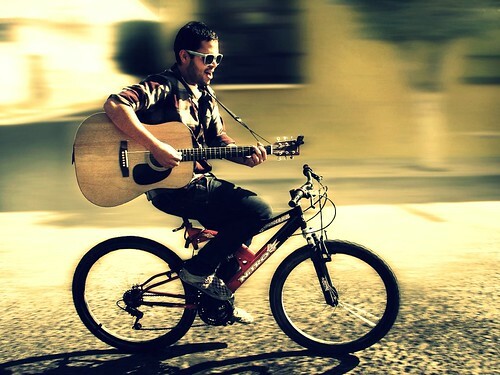 "Music, freedom and moving on a bike, what else do you need?" And here's the winner in the Lady category, by Flickr user Supersube. "There is Cycle Chic and then there is Cycle Chic Deluxe/Extreme/Brilliance"
"Cycle chic sublime. The guys in Guadalajara must have a strong neck pain turning their heads for this girl." "It's the most "cycle chic" picture I saw. Great colors (especially the blue) and beautiful girl." Both of the winners hail from Guadalajara, Mexico. Congratulations to both photographers! The Danish Embassy will contact them and work out how they get their new Biomega bikes. The bar was raised high in the competition. Be sure to check out all the Cycle Chic goodness in the Flickr group. Here's some more examples of photographic brilliance from the competition. 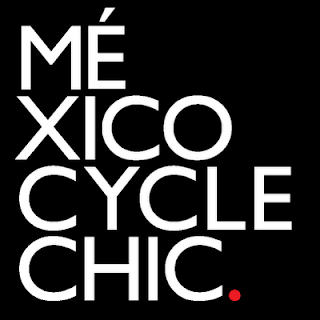 Cycle Chic wishes to thank the Royal Danish Embassy in Mexico, ITDP and Biomega for a wonderful collaboration. And thanks to everyone who took part in the contest! The Flickr group lives on, so keep on documenting Mexico Cycle Chic for all the world to see. Fantastic photos!! Must have been hard choosing the winners. I still don't have a bike...and i feel like burning inside....! In swedish only I'm afraid. Malmö (just across from Copenhagen in Sweden) has given most of the citys bike paths proper road names to be able to punch them into your GPS. 400km of bike routes in and around the city according to the article. The Lady category? OMG. My heart. It's not surprise at all that the winners are from Guadalajara, Jalisco. They have the coolest bicycles in Mexico. I live in Mexico City (DF) and I know that. I'm not sure why is that way. I mean, how those bicycles get there? The bicycles in Mexico City are more limited in models, I guess because we use them more to work. Who knows? Anyway congratulations to those "tapatíos" (guys from Jalisco). Thank you! I was very surprised!!! great photos at the contest! Very nice bicycling shots. All photos with energy and personality.